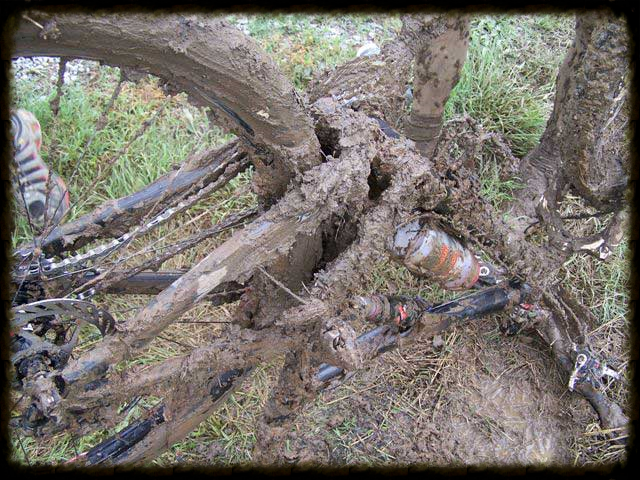 Most riders understand that you shouldn’t ride the trails when they’re muddy. Most riders understand acceptable riding conditions as well. Sunny…dry…go ride! Perfect. But what about this time of year? When is it ok to ride without doing permanent damage to the trail? How would you know if it’s OK to ride before you get to the trail? Understanding the freeze-thaw cycle can help you make that decision of when to ride the trail, when to stay on the road, or when it’s time to take a rest day, drink beer & watch football. As the temperature drops, moisture in the soil freezes. As most of you know from that forgetful moment when you leave a water bottle in the freezer, water expands as it freezes. When this happens on a trail, the composition of the soil is pretty much blown apart by the expansion of the frozen water molecules. Then, as the temperatures rise, the ‘blown up’ soil compresses and, with water, makes…MUD. Nasty, slimy, slippery mud. The real issue is the presence of moisture in the soil. Even rain from a week or so ago can impact the moisture level in the soil & start the whole process. If the soil is dry, freezing temps won’t have much of an impact on the soil at all. Air temps and soil temps are two very different things. Let’s say it’s 40 degrees for a few days and then the overnight temperature dips to 28 or 29 degrees Fahrenheit for a couple of hours. Even though the air temp is below freezing, the ground temperature probably won’t go below freezing since dirt is a pretty good insulator. The opposite is true as well. If the ground has been frozen solid for a few days, having air temperatures above freezing for a few hours won’t be enough to thaw the ground. A very common situation in Western PA is one where the trails are frozen until around 10 or 11am & then the increasing air temp and direct sunshine are given enough time to start the thawing process. Two hours can literally change the trail from a perfect, frozen, hard-pack to a sloppy, slushy mess. If you’re going to ride during this period, early is usually better. No matter how much you think you understand the combination of moisture, temperature & time, there’s no substitute for making good choices when you get to the trail. 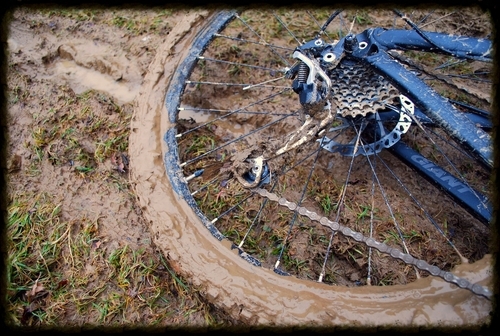 If you see that you’re leaving deep ruts and mud is sticking to your bike, it’s not OK to ride. It’s really frustrating when you’ve checked the weather forecast, packed up all your stuff, made it to the trail and then realize that it’s not in great shape. No weather forecast makes up for good choices on the trail. Be prepared to bail & hit the road, hug your local trail-builder and help preserve the trails for everyone.